3d printed Atari SIO plug 400/800/600xl etc. 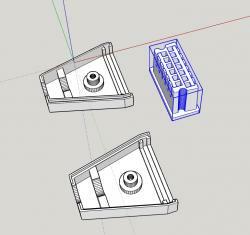 Continuing my Atari related 3d printer file releases with a 3d printable SIO plug. If you have access to a 3d printer the file is located here: http://www.thingiver...m/thing:1831769. Printing the plug requires a very well tuned printer for the best results. I used a highly modified Prusa I3 with a .2mm nozzle and the results were good. I have tested it using contacts pulled from an old AT power supply mother board connector. New contacts are available at Digikey ( http://www.digikey.c...300CT-ND/467825). This is still a work in progress although its fully functional. Edited by norm8332, Sun Oct 16, 2016 8:13 PM. that lock into the female connector? If so, you can buy packages of them from Best Electronics too. Yes the contacts in the motherboard plug. I haven't checked Best electronics, but I've heard good things. Just to update..I've been using this with a DIY SIO2ARDUINO SD adapter and its holding up great. Mine was printed in ABS plastic. I have tried it on a 400, 800 and 600XL so far. It was a little tight on the 400 but i think its the plug on the 400 is warped a bit. I recommend printing this with ABS plastic because that's what it was designed with, but It may work well with PLA also, I never tested it. If anyone prints one in PLA let me know of any problems etc. Edited by norm8332, Wed Oct 26, 2016 6:57 PM. I printed it on a modified-for-additional-rigidity PRUSA i3 with a .2mm nozzle, but I also have 2 MendelMax 1.5s that are the workhorses. The 2 MendelMax printers have larger .35mm and .40mm print nozzles. I used the I3 with the .2mm because of the fine details of the plug, but they may print OK on the larger nozzles..I haven't tried it yet. But the next one i will try on the .35mm printer. No. The "wings" would be too wide to fit in each port of plug. Thanks! I was afraid that would be the case. It will be great if it fits. I think there is no need to cut the wings !! Edited by Madi, Wed Nov 8, 2017 1:37 PM. I just had a couple of them made in Colorfabb XT. They turned out really well, except for the fact that the inner part is too big to properly fit the housing. After a lot of sanding, filing an dremeling I made it to fit, but in the process I discovered the edges (ledges?) 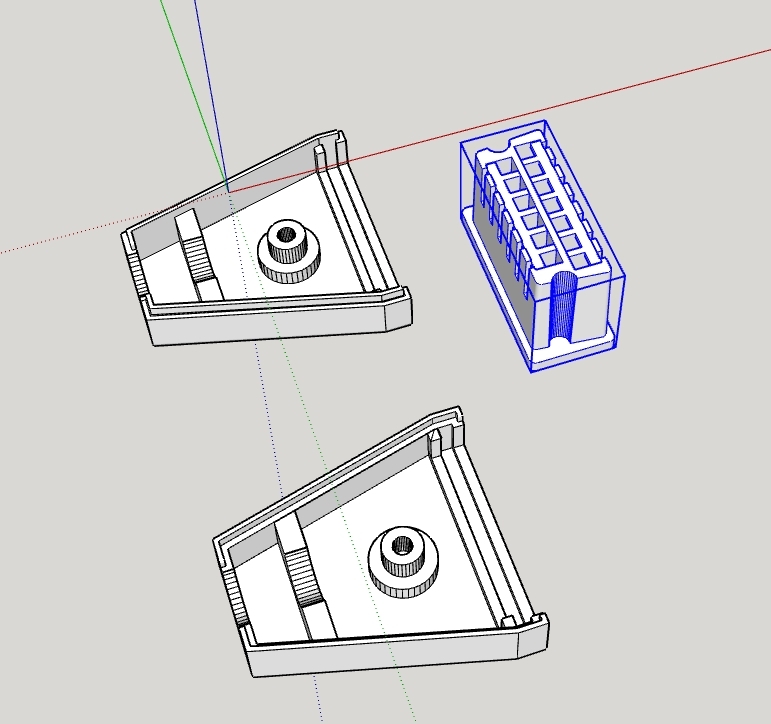 inside the housing are not high enough and spaced too close and the "height" of the edges is reversed compared to the Molex plug I used for comparison. That means that once you pull the plug out of a socket, the inner part gets loose and slips out of the housing. Maybe it all fits snugly when modeled, but I guess there is no margin for the fact that parts are slightly bigger most of the time, unless you have a very very accurate 3D printer. Update: I was now able to print it successfully myself at 0.2mm layer height, 0.4mm nozzle, 25% infill, PLA @ 200°C, heated bed @ 40°C glass with 3DLAC, but (important!) with the top and bottom scaled to 101%. Now it all fits perfectly and without any stress on the outer shell of the top and bottom parts! Yes it does require a highly calibrated printer. Most have printed it as is and had no issues, others may have had to make minor adjustments based on their particular printer type, calibration, and material used. It was designed for use with ABS. ABS shrinks slightly and the shrinkage may also vary from brand to brand. Edited by norm8332, Sat May 26, 2018 9:25 AM.